A few weeks ago I took my eldest son to the local wildlife rescue centre; Tiggywinkles is a fabulous place in Haddenham, Bucks which looks after sick and injured wild animals. Whilst there we were fascinated by a small family of foxes and I just had to commit this handsome devil to stitch. I also thought I’d show you the process that I go through in order to take my embroideries from ideas through to completion. 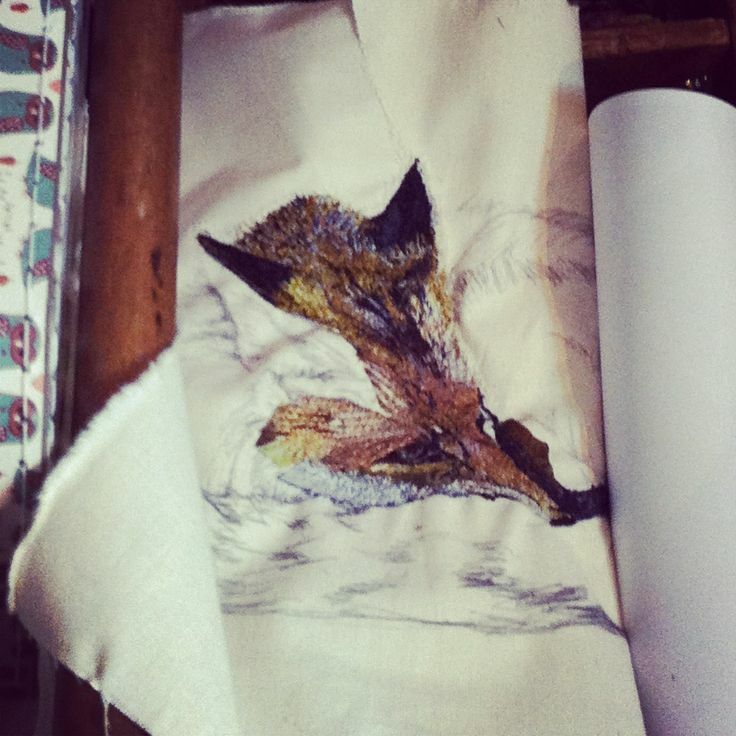 Sketching on calico in preparation for stitching. Always exciting to be starting a new piece. 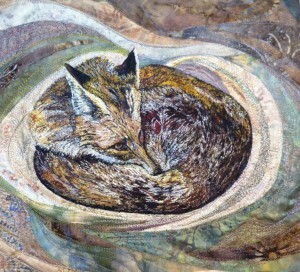 Only just starting to stitch but mr fox has snuggled down in my sewing box and made himself comfortable. 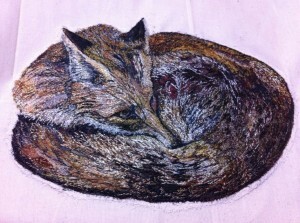 Finished stitching fox today. Time to give some consideration to a background. 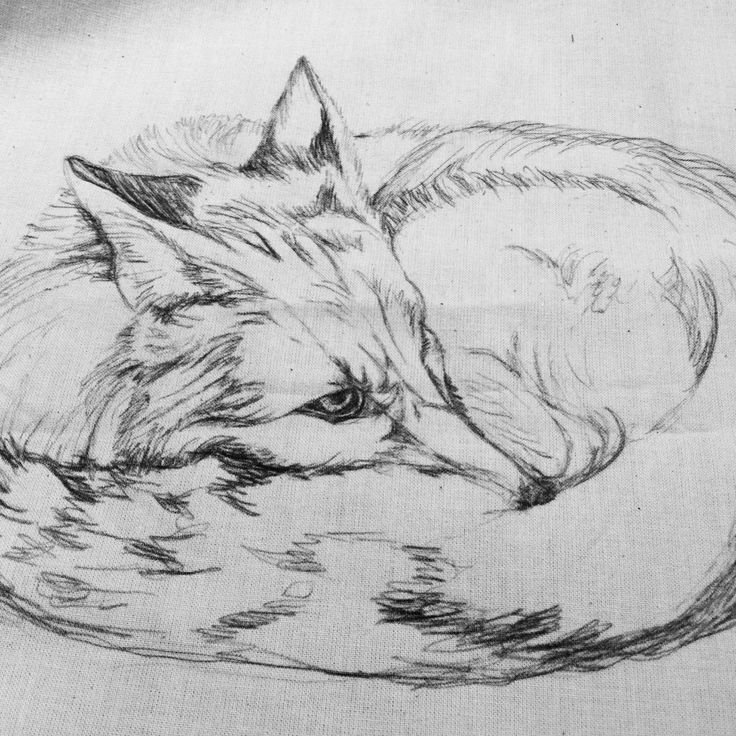 Background added, curled up fox ‘keeping his eye on you’. Take a look at the finished piece in my portfolio section.